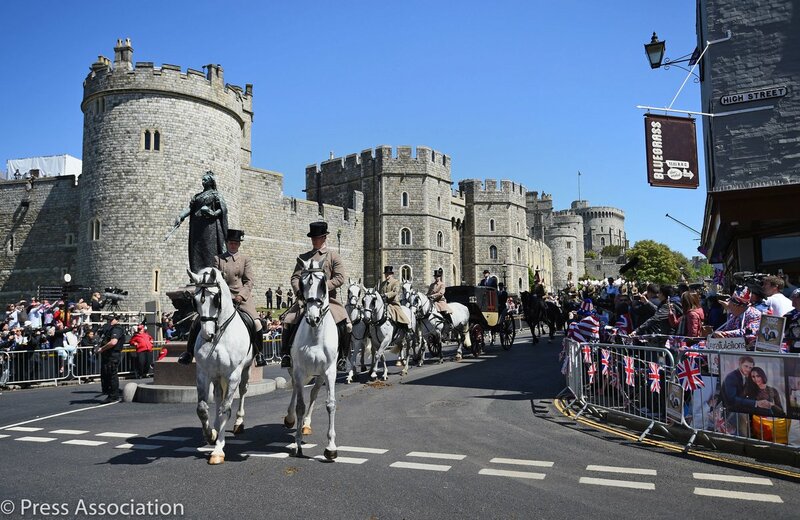 Above, a dress rehearsal for the royal wedding carriage procession through the town of Windsor, England. Excitement is building for the royal wedding of Prince Harry and American actress Meghan Markle this Saturday, May 19, 2018. The couple will marry at Windsor Castle in England. The live broadcast is 7 a.m. Eastern Time, 6 a.m. Central Time and 4 a.m. Pacific Time for those watching in the United States. NBC, ABC, CBS, FOX and other networks also will broadcast the pre-wedding events early Saturday morning. British American Gus Streatfeild will join millions around the world to watch the wedding this weekend. “It’s a very happy occasion. We’ve grown up with them, Harry and the other boy, William. It’s very exciting,” Streatfeild said Thursday afternoon. 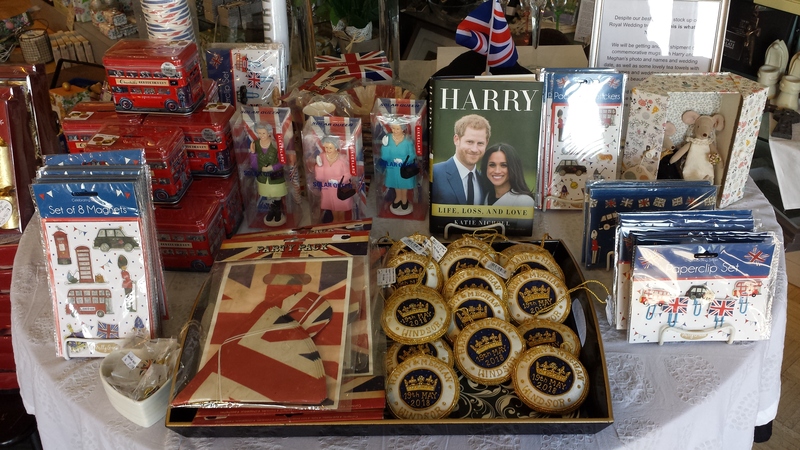 Streatfeild owns the British Isles gift store in Houston, Texas where all things Harry and Meghan or royal wedding are selling out fast. Houstonians are celebrating the royal marriage with a visit to his store. “It’s pretty much everything. 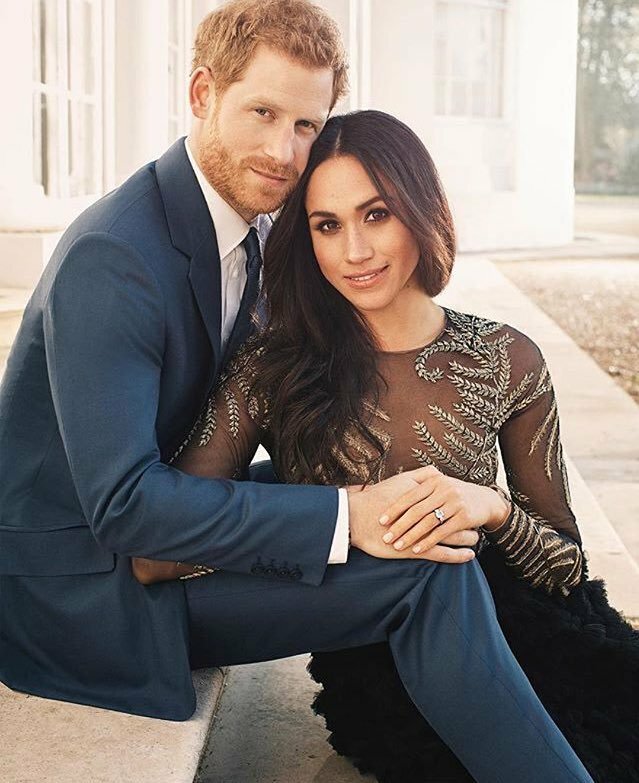 We’re getting more mugs on Tuesday or next week, more tea towels and some of the more expensive commemorative things that are readily available after the wedding,” he said. British Isles, 2366 Rice Boulevard, has been open in Rice University Village for 25 years. This entry was posted in Asian Community Houston, Celebrations and Weddings, Harris County News, Houston News, National News and tagged British Isles Gifts Houston, Prince Harry and Meghan Markle royal wedding, royal wedding souvenirs Houston. Bookmark the permalink.